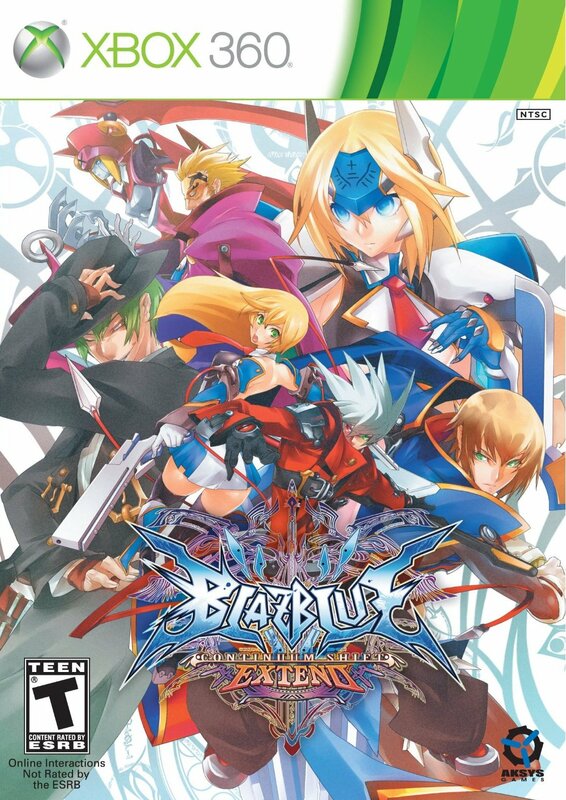 Being the resident MashButtons fighting fan, I must admit that I have been a bit late to jumping on the BlazBlue ship and follow up with an apology to myself for doing so after getting my review copy of Continuum Shift Extend. Those unaware of the quickly growing phenomenon which is BlazBlue, it is a 2D fighting game developed by the same folks that brought us the Guilty Gear titles, Arc System Works. 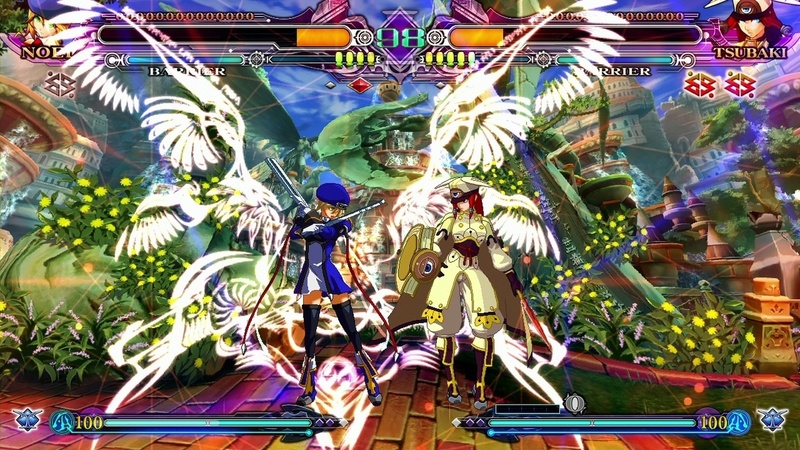 Continuum Shift is the sequel to Calamity Trigger and Extend is pretty much the equivalent to Street Fighter IV's recent Arcade Edition in terms of providing a new playable character, Relius Clover, story scenarios, gameplay modes, and competitively rebalanced action. Being that this is my first entry into the BlazBlue universe, there is a lot of bang for the buck in CS Extend as you get all of the previous content of Continuum Shift along with the additional content of Extend. The gameplay is fast and dare I say it, furious, while the graphics provide that pizazz of modern day fighters which make it hard to put down after each round, or shall I say Rebel. 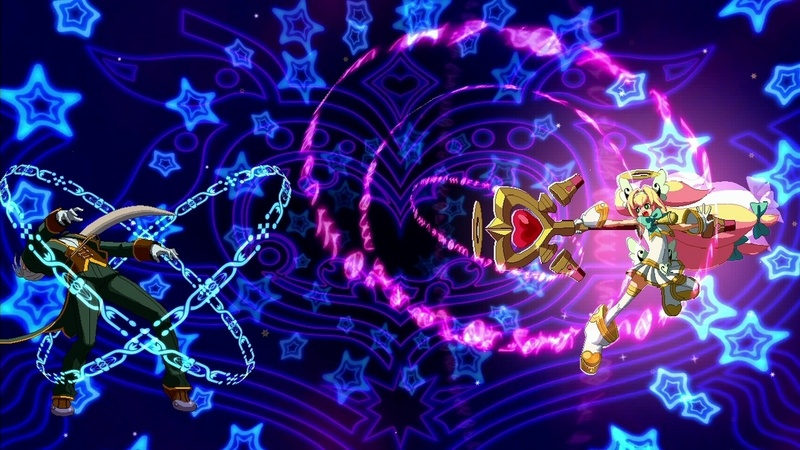 There is a ton of replay value with the multiple game modes available, but not only that, you also get to relive or go through the story modes of Calamity Trigger for the first time if you are new to the series along with four new story scenarios. 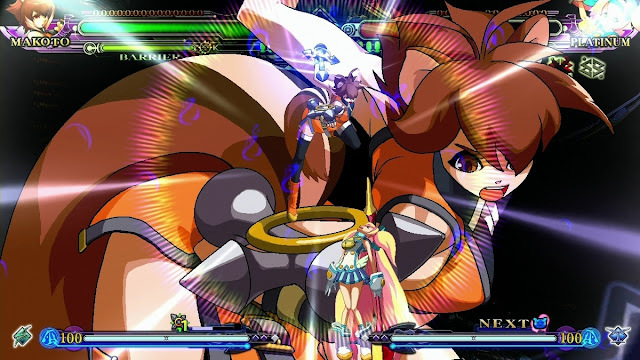 Speaking of story, I was surprised I did not find myself skipping through the dialogue, which is probably a first for me and a fighting game. I found myself also spending a lot of time in challenge mode while I tried to determine who I wanted to use as my main fighter...the verdict is still out on that, but think it will most likely be u-13. Though there is a metric ton of content to be discovered in the game, I did feel like some of the modes were just filler, but to each their own. I myself preferred Story and Challenge, while also struggling to take down veterans online; however after trying Unlimited Mars and Legion Mode, I do not see myself going back and playing again. You do earn points through gameplay to unlock voices, artwork, and more for the die-hard fans, however trying to find out where to spend the points could have been explained before sifting through the 15 options found in the game's overwhelming menu. 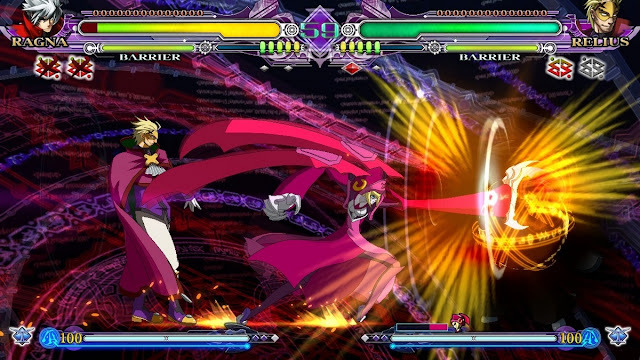 Lastly, I cannot attest to this, being a noob to BlazBlue, but Extend does have a fully revised combat system, so you may either love or hate the rebalancing of characters, particularly if your main has been nerfed in development. Like I said, BlazBlue CS Extend has a lot to offer, much more than most other fighters out there. The only thing that other titles had that I did not see here was character customization or alternative costumes, but with the rock solid fighting mechanics, lack of lag, and diverse fighting styles, it was quickly overlooked. I had no problem finding matches online; however, after getting enough online matches in to complete my review, I promptly went back to the Story and Challenge Modes to help me find the fighting style I enjoyed most. Another great thing about CS Extend was that it is pretty technical, so you need a strategy and the offline game modes do a great job to prepare you for taking your game to the streets.